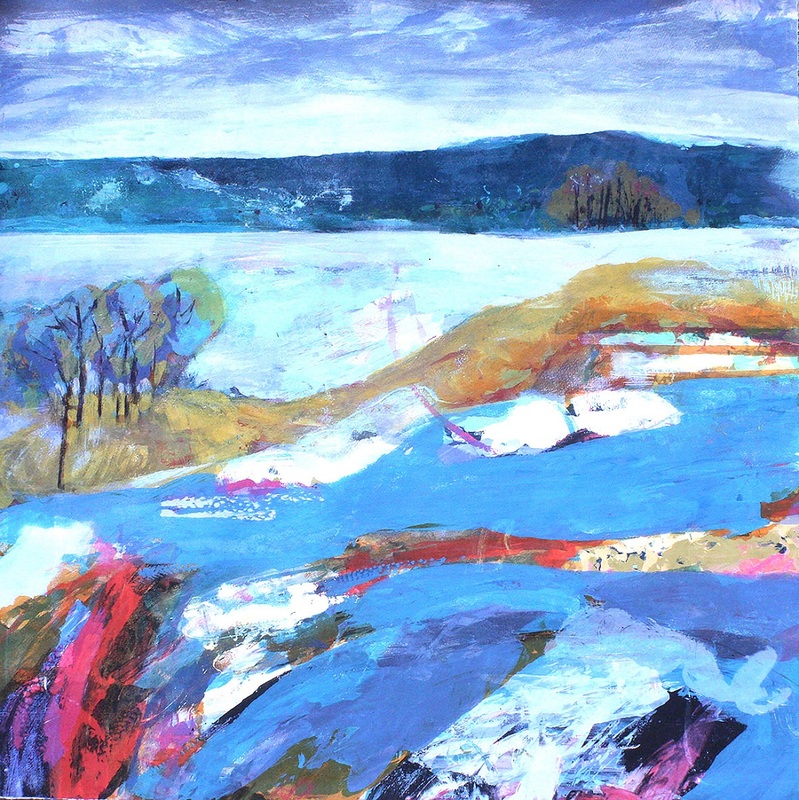 Gail Mason creates colour-filled emotional landscapes, through the medium of Silkscreen Monotype. There is an exuberance to her work, with marks and shapes dancing around the square format prints. 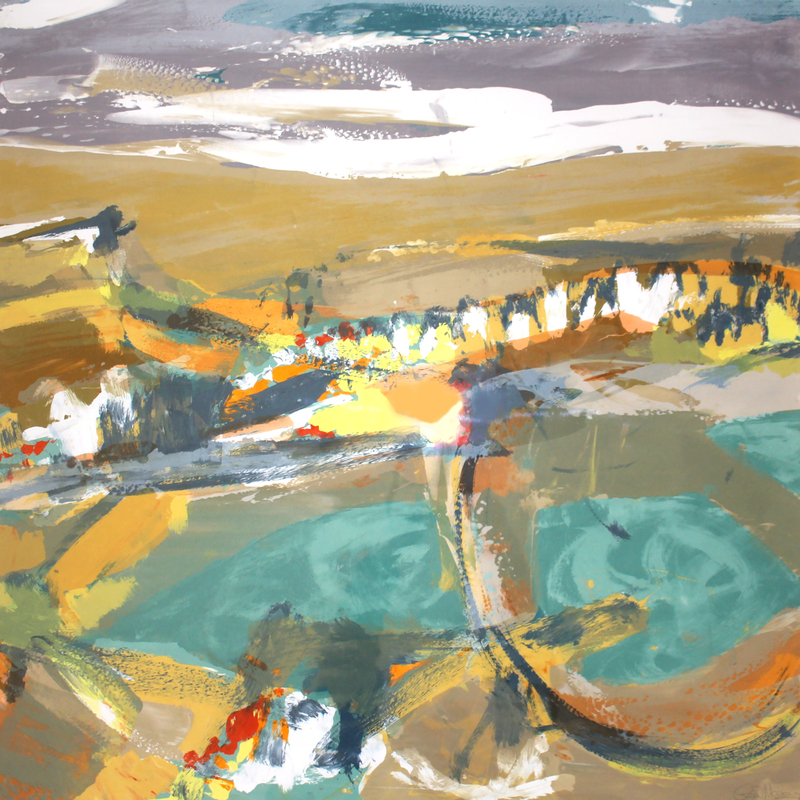 Arguably more painting than print, Mason’s Silkscreen Monotypes are each one-offs that utilise Silkscreen’s potential for areas of pure, flat, unadulterated colour. 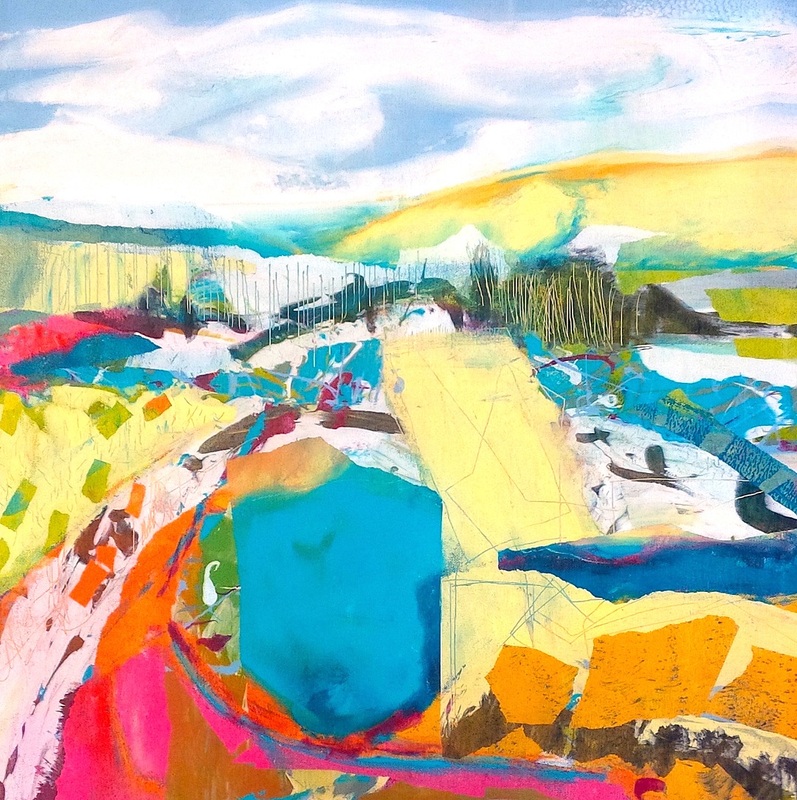 Gail Mason combines her love of experimentation and play within the process with colour, light and form to make images that truly sing with vitality. Lisa: When did you first discover your love of printmaking? Gail: I went to a very small school which had an amazing art teacher – Mrs Walker – who was totally inspiring and showed me how to screen print by making a stencil with house paint and then printing onto fabric. I was hooked! 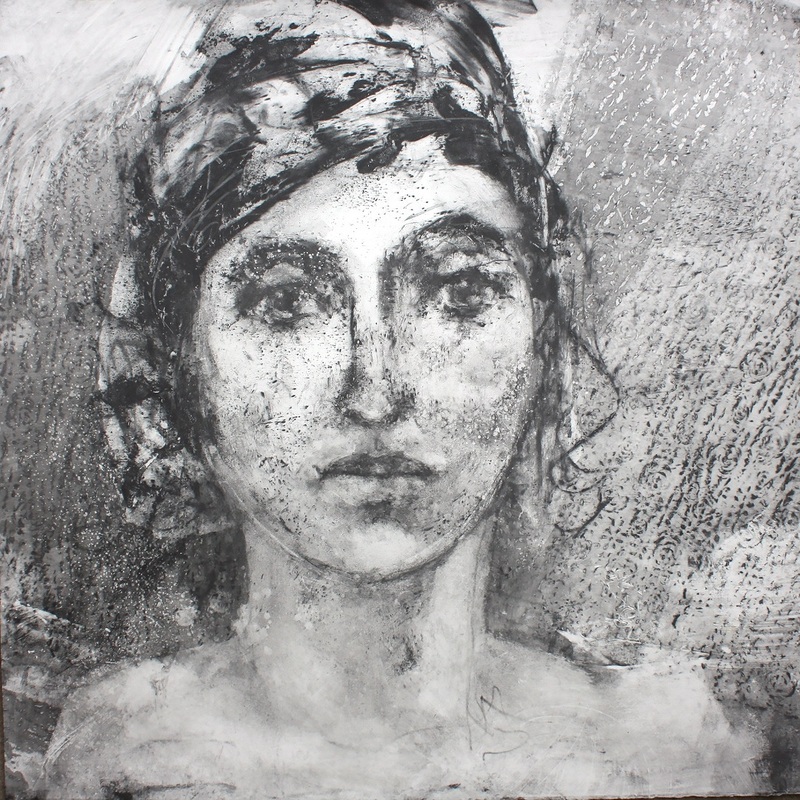 Sadly she left when started A-level art, and as the only student on that course without her enthusiasm and ‘can do’ attitude I fell foul of the new teacher and after a year I dropped art. Lisa: How much do you think your work is informed by your Psychology studies? Gail: That’s a really interesting question, and something I have never thought about consciously. I guess I realised that everyone has a hidden emotional world that they inhabit, sometimes we catch glimpses of it and other times it is tucked away. 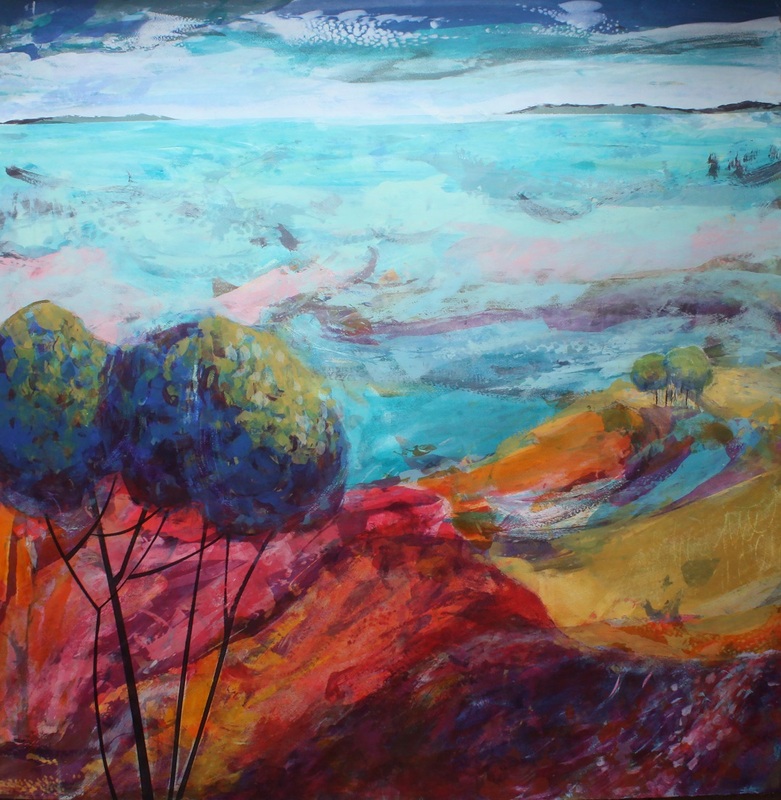 I am an emotional person, and using colour helps me to recognise and channel some of that energy into my prints. I want make viewers feel and experience colour and movement in a positive way. I remember when I was young I mixed up a whole load of different quiet muted paints, put them all together and wrote on the paper ‘a group of depressing colours’. I remember it very clearly and I think that is why I want to use colour in a generally uplifting way. Lisa: What is an emotional landscape? Gail: That idea really began about 20 years ago when I was pregnant for the first time with my daughter, and studying for my Masters in Multidisciplinary Printmaking. Some days were really hard and others floated by in a mercurial fashion. I realised that I was mixing colour until it felt right to use. The work would reflect how I was feeling on the day I started making it. I would often have to wait for that mood to re-emerge before I could continue. I always have the notion of journey in my mind, of travelling through a space whether it is literal or metaphorical and the concept of an emotional landscape took hold. Lisa: Can you talk us through the different mediums you use to create your work? 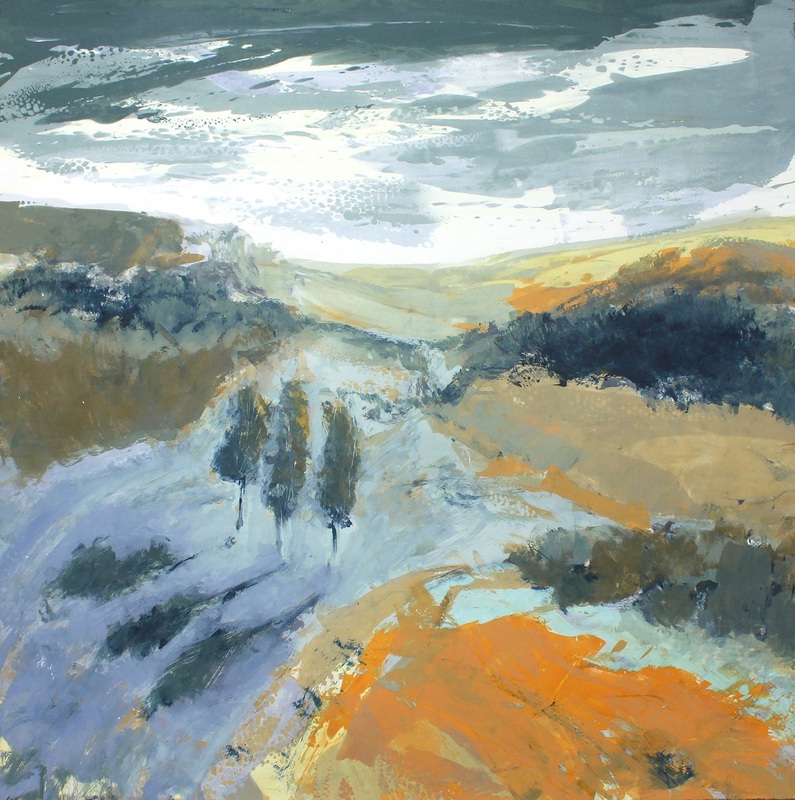 Gail: I mainly produce work through a painterly silkscreen process whereby only one image is created, like a painting. I will sometimes make marks on the screen with graphite, charcoal or water soluble pencils at the same time as using colour. Sections of the image may be printed over many times changing the opacity of the paint to create subtle shift in colour and tone. I use a lot of water, washing out areas that I am not happy with, and blotting to lift the layers of paint. I do use oil paints but I seem to be happiest with water based work as I am a messy worker and it’s such a joy to wash all the muddle away! Lisa: How much of your work is prepared through drawing, and how much is developed while at the screen? Gail: I am a very intuitive painter really. I don’t use a sketch book very much, I do take photos when I am out and about but really use them more as a memory jogger. I used to live deep in the wilds of Dorset, my spiritual home, and would spend long hours out with my dog roaming the countryside. A lot of that emotional and physical memory surfaces in my work, I also spend time in Portugal and I can see some of the landscape elements there popping up. I will often do a thumbnail sketch before I start but as soon as I get a brush loaded with colour in my hand the plan tends to go out of the window and then I have to respond to the marks I have made and take it from there. 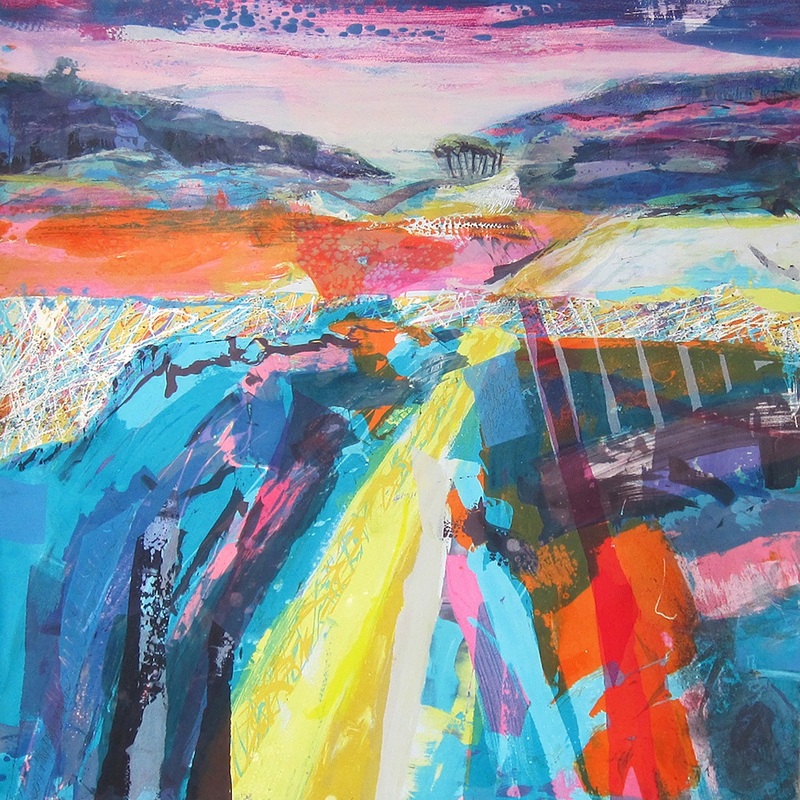 Improvising is exciting, I have to work fast and be decisive, I get a chance to reflect when the screen is washed and drying..
Lisa: How would you describe your use of colour and how do you go about deciding what colours to use for a print? I mix colours in small pots up to about 20 or so for each piece of work, and then group them into families and see if they like each other. I move them around on the table and then blob them next to each other to see how they sit. I really am very instinctive about it. I don’t have any hard and fast rules other than I never use colours straight out of the pot but make them complicated by adding a bit of this and a bit of that. I will often add a bit of one colour to several pots just so they will blend together better. It’s been very interesting trying to colour match in making reproductions of my work. Even if they are a only a little bit out, I just don’t get the same feeling from the print as I do with the original silkscreen. It just shows how much the colour is key for me. 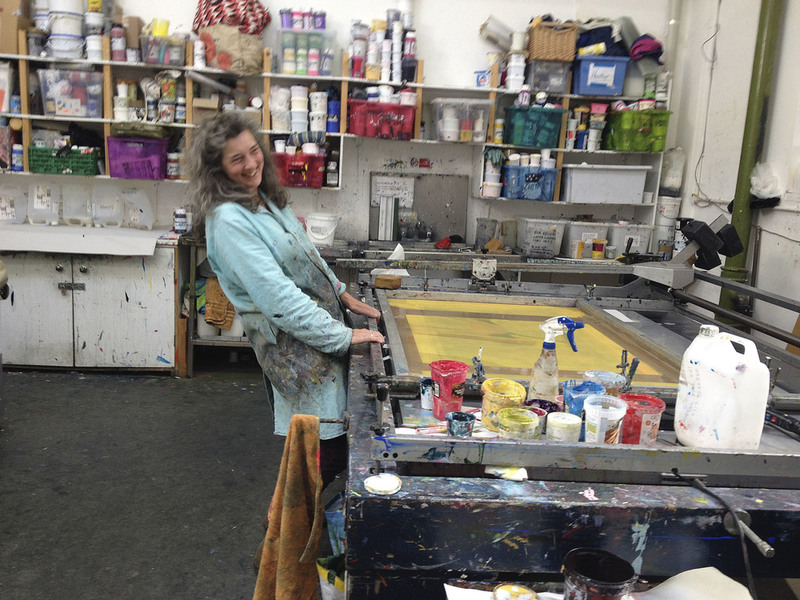 Lisa: What are the greatest challenges that you face as a printmaker working today? Gail: There is a confusion with the general public as to what an original print is. The galleries like to confuse the buying public with the term ‘print’ and Giclee making out that it is more than a reproduction. An original print can be made as an edition, but what I do is even more confusing. My work is termed silkscreen monotype which means that there is only one original in existence. I have been printing onto canvas so that people may see the work in a different way, and value it as a painting which of course it is. Lisa: You also teach printmaking regularly. How do you think this informs the work that you create? 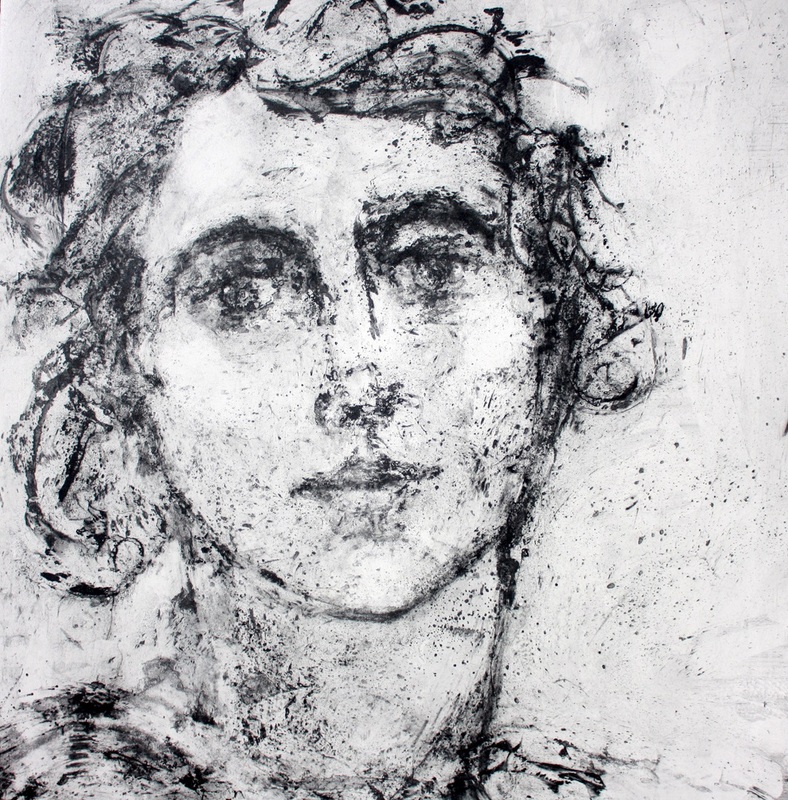 I often think ‘oh I really should do more etching/ collagraph/ drypoint/ oil monotype’ etc…. but somehow the colour in silkscreen always pulls me back. Gail: I have a solo show at the Bishops Palace in Wells opening on the 2nd March until the 29th April 2018. 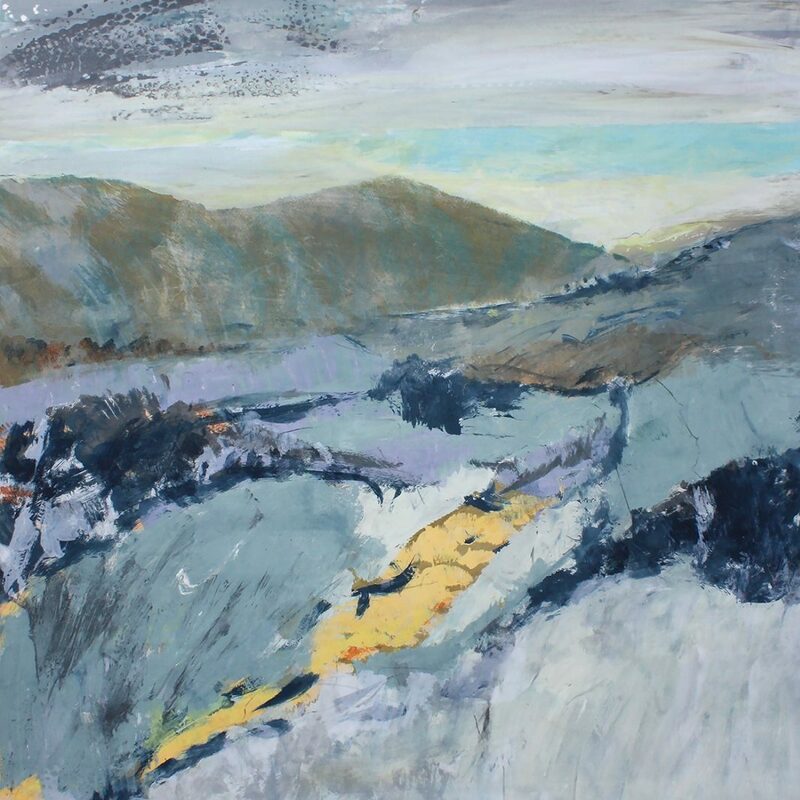 I have just decided on the title ‘Breathe’; I want people to feel the wide open space of the natural landscape and to remind themselves to breathe. Our lives get so busy and focussed that we forget about the starting point. I am currently showing some monochrome work at the RWA 165th exhibition in Bristol 1st October to 3rd December. The South Downs area. Will try to see your exhibition. at Bishop’s Palace in Wells at the moment, until mid April.